The world's largest hard disk maker is going through a global business restructuring plan and, due to a slowing market, recently announced the plan to shut down a manufacturing plant and to cut over 6,500 jobs worldwide. 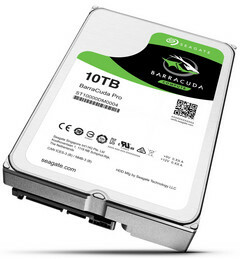 Solid state drives and even eMMC storage are burning through the profits of hard drive makers and the world's largest one, Seagate, seems to suffer a lot. As a direct consequence of the market's evolution, the company entered a global restructuring plan that involves cutting over 6,500 jobs. Seagate unveiled to the Chinese press that the cost-cutting plan was set in motion back in July 2016. After the closure of the Suzhou hard drive plant, the company will keep two hard drive manufacturing facilities - one in China and the other in Thailand. However, Samsung plans to expand its manufacturing facilities in Thailand, due to lower salaries for skilled workers than in China. The Suzhou plant's import/export values un 2016 fell 37.5 percent from 2015 - $1.2 billion from $1.92 billion. Back in 2015, the company revealed its plans to invest about $470 million in Thailand by 2020. More than 2,000 people will lose their jobs this week, as the Suzhou plant closes its gates.